Cheap RapidSSL Certificates start from $7.50/yr. - Buy Now! RapidSSL has diversified SSL certificates to match every industry requirement. You can get RapidSSL certificate to secure your single domain and RapidSSL Wildcard certificate to secure unlimited sub-domains at lowest price ever. RapidSSL certificates are issued by GeoTrust – the second largest global CA. RapidSSL offers cheap price certificates as compare to other brands in SSL segment. The certificates purchased from Cheap SSL Shop is 100% same product you get from RapidSSL.com, the only difference is price and our 24 x 7 support. We offer same certificates at discount price. It offers maximum browser compatibility like Microsoft Internet Explorer, Mozilla Firefox, Safari, Google Chrome, Netscape, Opera and many more. Also certificates offer maximum device compatibility; this includes pc and all Smartphone devices like Apple iOS iPhone, iPad, Android Phones, BlackBerry Devices, Microsoft Windows Phones, and many more. It carries automated authorization systems and sends domain authorization email to buyer. Once you receive the email and complete authorization process, HTTPS is enabled. This process takes 10 minutes or less and you will receive your certificate instantly. Do not be there in queue to get SSL, buy it now from Cheap SSL Shop, and secure your website in few minutes. The online enrollment system is designed to offer simple enrollment process and very easy for beginners and non-technical buyers. RapidSSL delivers SSL certificate via email on requested email address. A GeoTrust subsidiary CA – strongly follow CAB forum standards and offer highly secured SSL certificates to their customers. RapidSSL provides 2048-bit CSR encryption and 256-bit encryption for SSL certificate. Cheap SSL Shop offers 24/7 online support for all RapidSSL customers. It is dedicated SSL provider having team of security industry experts and ready to assist customers for all SSL Technical, Sales and Authorization questions. RapidSSL certificate is one of the most cost-effective solutions to secure your website. RapidSSL provides domain authentication which ensures certificate issuance is done in just less than 10 minutes. RapidSSL certificate is great for start-ups who want to secure their domain with low-priced but strong encryption. RapidSSL provide 256 bit encryption, which is the best in industry. RapidSSL certificate comes with $10k warranty protection and generally offered in case of any mis-issuance of the certificate. Organizations that have to secure more than one sub domain along with their main domain can choose RapidSSL Wildcard Certificates. RapidSSL Wildcard certificate is one of the most pocket-friendly certificates for multiple sub domains. 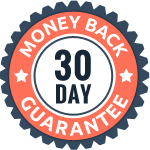 With strong encryption, fast issuance, 99.9% browser compatibility, 30-day money back guarantee and a warranty of $10,000, RapidSSL Wildcard is one of the best options to secure your website and sub domains. RapidSSL – A GeoTrust company, famed as a proven leader in the SSL industry, providing a strong encryption for online transactions that take place between a browser and web server. It is famous for their cheap price products in SSL certificate segment and favorite CA for small businesses. Applying up to 256-bit encryption, it provides a secure and convenient browsing experience for users and thereby successfully establishes the confidence in the user’s mind. RapidSSL Certificates are expert in providing paramount security solutions to individuals and small businesses. The best part of choosing it will be its 99.9% compatibility (compatible to all browsers/applications), immediate issuance of certificates (within a few minutes) and affordable prices (compared to any other SSL certificate provider in this category). RapidSSL follows a robust encryption with universal browser recognition and mostly holds two kinds of certification like RapidSSL and RapidSSL Wildcard. To purchase an SSL follows a simple three-step process enrolls, confirm and Install. It is easy to obtain Certificate with a lacking of technical knowledge. Today many small and medium organizations do need cheap and affordable SSL, here RapidSSL is aiming to provide a low-cost certificate to them. Now it is essential to buy SSL for online businesses, which will help to prevent online frauds and maintains customer’s trust. Organizations find it the best SSL certificate among low price range certificate products due to its simple process, higher standard, and a robust encryption.